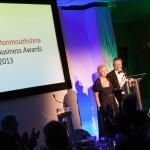 The Gala Dinner for the 2013 Monmouthshire Business Awards took place last Friday when the ‘cream of the Welsh business crop’ was revealed. 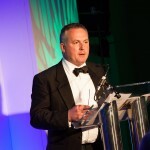 It was the culmination of, and testament to, 12 months of hard work by co-organisers Janet Harris and Wayne Boyland, and the rest of the team at Adventa. 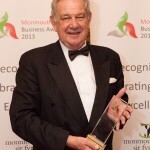 The event at St Pierre Hotel & Country Club kicked-off with a drinks reception at 7pm, where guests – including David Davies MP, the Assembly Members Edwina Hart and Nick Ramsay, and representatives of Monmouthshire County Council – had the opportunity to meet the nominees. There followed the ceremony ‘proper’, which included an introduction by Bob Greenland, the deputy leader of Monmouthshire County Council. The feedback from the 300-strong audience was unanimous in that the event – the first to be held at St Pierre – was an unqualified success. 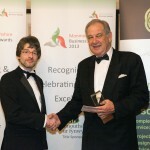 The full list of MBA winners will be revealed tomorrow in the Business Argus. 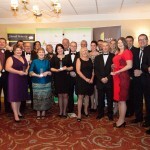 The sponsors of this year’s Monmouthshire Business Awards were Monmouthshire County Council; Palamedes PR; Northern Automotive Systems; Finance Wales; University of South Wales, Newport; CEDS; Adventa; Monmouthshire Housing; Severn Quay; Spectrum Internet; Mabey Bridge; Monmouthshire Enterprise; Parker & Co.